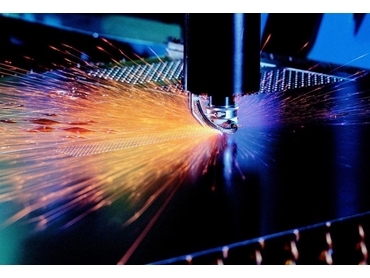 Laser technology is increasingly used for industrial material processing, especially in the automotive and general mechanical engineering sectors where beam sources with higher output powers and improved beam qualities have expanded the range of laser applications. From the beginning, CO2 lasers have been among the workhorses of the laser industry, with their high power, beam quality, easy handling and ability to integrate into existing plant setups. An estimated 60% of all CO2 lasers are used for cutting applications with most flatbed processing systems equipped with lasers having power higher than 2kW. Though there is increased demand for more power, higher power does not always accelerate the speed because many laser operators are unable to use the full power their processing systems can deliver. For materials 1-6mm thick, for example, it is not always possible to apply the full laser power to the workpiece, regardless of it being mild steel, stainless steel or aluminium. Increasing the power during thermal cutting beyond this value may expand the size of the material’s heat affected zones and place higher demands on the motion system, thus limiting cutting speeds. Therefore, when laser cutting metal sheets up to 4mm thick, operators reduce the power to far less than 2kW. Even on sheet metal thickness range of 4-6mm, they operate 5kW laser at noticeably reduced power, usually not exceeding 2kW. A new patented process called diffusion-cooled CO2 slab lasers helps realise improved beam quality and smaller focus diameters under comparable conditions. The optical resonator is formed by the front and rear mirrors and two parallel RF electrodes. Excitation of the laser gas takes place in the RF field between the water-cooled electrodes. The heat generated in the gas is dissipated by the water-cooled electrodes (diffusion-cooled), eliminating the need for conventional gas circulation systems involving roots blowers or turbines. A beam shaping telescope is integrated into the laser head and produces a high quality round symmetrical beam. The resonator design produces a 45º linearly polarised beam. These characteristics allow narrower cuts, which in turn enhance cutting speeds because there is less material to be cut. Diffusion-cooled CO2 slab lasers are therefore, especially suitable for thin sheet metal processing. Cutting speeds on mild steel attained with a 2.5kW CO2 slab laser are very comparable to the results obtained with a conventional fast-axial-flow CO2 laser with 4kW output power. Differences in speed become significant only when sheet metal is thicker than 10mm. In laser fusion cutting of aluminium, the effect of the higher beam quality becomes more evident. In the thickness range below 2mm, slab laser speeds exceed comparative values obtained with flow lasers. Up to a thickness of 4mm, both beam sources achieve similar results. When cutting thicker metal sheets, the higher wattage flow laser beam source has an apparent advantage. Laser design is an important factor to be considered in conjunction with the operating expenses. For instance, diffusion-cooled CO2 slab lasers have a simple layout involving only two metallic mirrors as the diffusion cooling principle eliminates the need for turbines and blowers for gas circulation, giving rise to an almost wear-resistant laser. Owing to the negligible gas consumption of diffusion-cooled CO2 slab lasers, the premix gas bottle integrated into the laser head allows more than a year of continuous operation. Since increasing power increases cost, doing so makes sense only if there is an economic advantage. Sheet metal up to 4-6mm thick, which accounts for most sheet metal processing applications today, may be processed using lasers with beam sources of 2.5kW output power at high speeds, provided the beam quality is at its optimum. On the other hand, high-powered beam sources can cut thicker workpieces at higher speeds. In specific cases, high power lasers yield an economic advantage, especially in applications that could hardly be done without the extra power. Laser Resources provides laser marking, laser cutting, laser welding and laser cladding systems.